Most people don’t think about ice cream when they try to think of a great job that could also make them a lot of money, and that’s the way many ice cream truck operators who are making major cash hand over fist want to keep it. The ice cream truck business might not be the biggest business in the world compared to Microsoft, but it’s a LOT bigger than most people think, and there’s plenty of money to be had. I had just a little bit of money in my pocket, I would set up my own ice cream truck all over again. I promise you, you can make money your very first day. I’ve never opened an ice cream truck anywhere that didn’t make sales the very first day I was opened. And you can make back, 100% of your investment in less than 30 days. I’ve made it back in as little as a week in some locations. The ice cream truck business can be started on a shoe string budget. 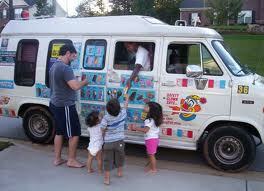 I’ll show you how to get started in the ice cream truck business for way less than most people.